My vote for the prettiest website I’ve seen in a long time goes to Windy.com. I went in looking for real-time info about Hurricane Irma, coming into the Caribbean as I’m writing this as a category 5 hurricane. 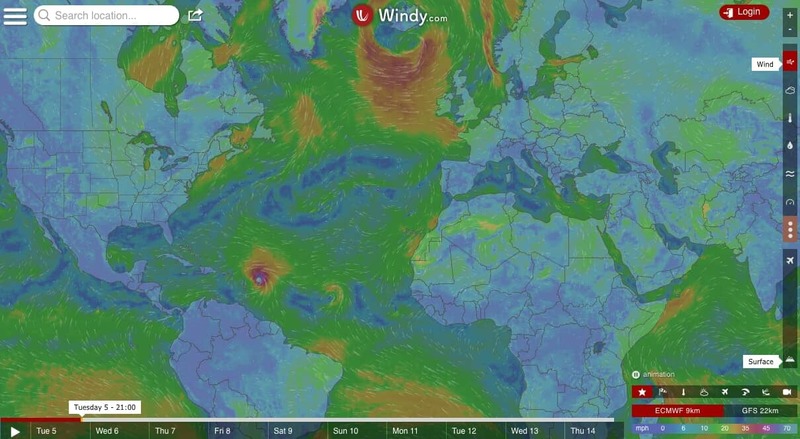 I found a site that offers real time information on wind, cloud cover, temperature, precipitation, ocean wave activity and barometric pressure. Note the little arrow at the bottom left of the image below, where you can get weather forecasts in all these categories. I bookmarked this immediately.